Remember our blog about fashion houses investing in cultural awareness? In the very competitive fashion industry, multilingualism is now also being viewed as a great asset for both companies and individual employees! According to Katie Forster in an article on the website of The Guardian, the fashion business is increasingly become aware of the importance of languages. She gives the example of Aldo Liguori, who is the global head of Public relations for the Japanese Fast Retailing. Fast Retailing is the big player behind international clothing brands such as Uniqlo and Comptoir des Cotonniers. No wonder Liguori is quite the linguist – in fact, Forster says he speaks five different languages fluently! Liguori says this linguistic streak of his personality is very beneficial for his relationship with international media and fellow colleagues around the globe. When Forster met up with him in Tokyo, Liguori even confided to her that he thinks his career lifted of because of his languages as it enabled him to work wherever. As he could converse with people in their own language, he learned more about their companies and products than he would have when he would have spoken English only.Forster says that the fashion industry mainly employs the English language as their means of communication. However, due to globalisation, she believes that foreign languages are becoming ever more important. This is why clothing companies who operate worldwide, such as Uniqlo, prefer their new employees to have some kind of foreign language skill. However, as Uniqlo also offers language training for their staff to increase their foreign language abilities. 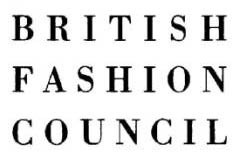 The British Fashion Council recently stated they wanted to strengthen the position of the British fashion industry on the global market, Forster says. According to their report, the council wishes to do so by improving the language skills of UK companies. Kat Shallcross, marketing administrator for New Look, also believes language skills are vital in her field of work. It is het job to check stocks levels in all European stores and her knowledge of the French language has made this process a tad more easy, she says. And Shallcross isn’t the only one working in the field that has experienced the benefits of foreign language skills. Patrick Clarck, who is an online editor for the magazine Schön! says speaking foreign languages also pays off when travelling abroad, which happens quite a lot in the fashion industry, for example for Fashion Week. Forster says that Clarck believes everyone who attends fashion shows during this week might become your colleague one day, so speaking their language might put you in an advantage over others. To Forster, it seems that the more languages you speak, the more appealing you are to the fashion industry. But, she asks herself, how do you know what language skills are most sought after? According to Jana Reynolds, a native Russian who works for the N°10 Showroom in Paris, the real money in the field of high fashion comes from Chinese and Japanese customers. This is why many employees in Milan showrooms speak Chinese or Russian, she says. Fashion companies are now also investing in retail specific cultural awareness training to help plug gaps in customer service. All of the above shows that languages really are an essential part of the fashion industry. However, Forster says, UK students who have fashion as their main subject often do not have the opportunity to incorporate language in their studies. Students who wish to enhance their language skills must do so next to their main field of study, which can be a costly operation. Head of careers and study recruitment for the London College of Fashion Jason Clapperton thinks this might have to do with the fact that a practical degree such as fashion is quite demanding and does not leave room for anything else. However, Forster says, students at Clapperton’s college are able to study abroad, which is not only beneficial for their cultural and creative skills, but for their knowledge concerning languages as well. According to Forster, the Nottingham Trent University agrees with this, even though only ten per cent of their UK students choose to follow an additional language course. By doing this, these students probably hope to distinguish themselves from the other students.